Plasticine is the perfect modelling material! It never dries out and it can be mixed to make new colours. Plasticine is great for young hands to make fun shapes with or for expert model makers to create intricate models with fine details. If you make a mistake or change your mind simply smooth out the area and try again. The only limit is your imagination and it's great for children and big kids! 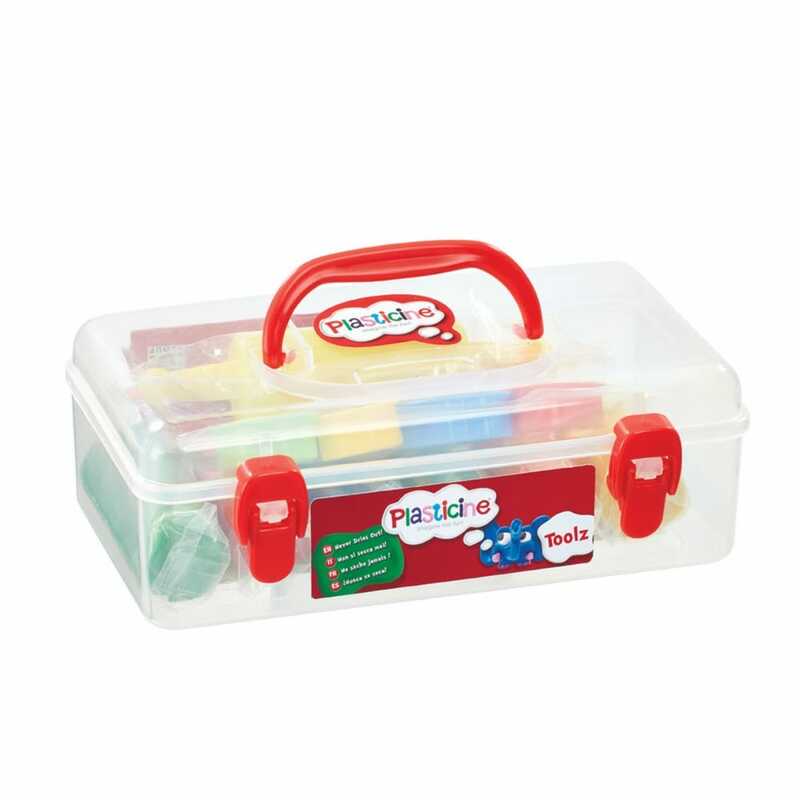 The tool box includes everything you need to help you make your very own Plasticine models, the box includes 7 colours of plasticine, 5 shaped cutters, 1 modelling tool and 1 roller.